How would have India been, had it been liberalized in 1950 instead of 1991? Someone asked this very enlightening question. Here's an attempt at answering it. While it is extremely tempting to imagine a radically developed and rich India now, had our government attempted liberalization right from the early 1950s, that assumption most likely is futile. The British had almost completely hollowed out India before leaving - we had practically no capital resources, no industrial base, and no roadmap for the future. We were a blank canvas. Economic liberalisation through a democratic political process would have most likely led to a huge centralisation of wealth and resources within a decade, and the almost total annihilation and usurpation of all things indigenous (and we had/have tonnes of them). China avoided that largely for a long time post-1979 as a one-party system could take on the most convoluted of problems head-on. India was still developing its concept of nationhood through the entire 1950s, 60s and 70s, and in that sense, we may have become a carbon copy of the American model, something unsuited to our ground realities. Our military and security apparatus were relatively nascent. We were not a nuclear power. When Rajiv Gandhi brought the first wave of economic reforms post 1985, (reducing import duties on technology products like computers, opening up of telecom sector - remember STD PCOs?, etc. ), that itself took some time to show results. 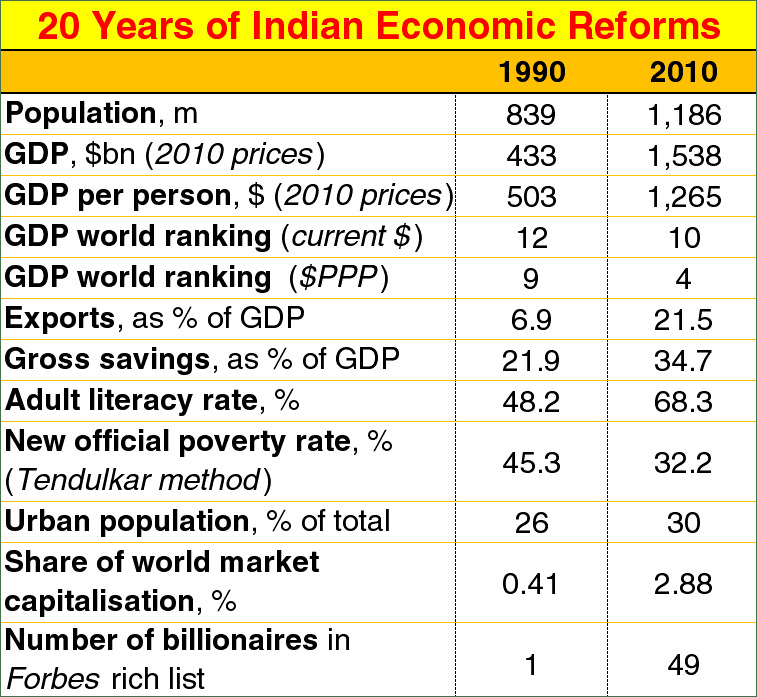 PM Rao brought full-fledged reforms in 1991 under extreme conditions - running out of foreign exchange to buy oil, collapse of USSR, domestic turmoil, collapsing industrial output etc. And he was forced to abandon all the earlier regulatory models to just keep the country going. Today, 25 years after serious economic reforms have been more or less consistently pursued by successive governments, we are still not able to do the most crucial part of it - "liberalising the factor markets" (land, labour, capital). We have only done well with the goods and services markets. And since we are a humongous nation now - 1.3 billion and counting - I doubt if any major earth-shattering reforms could ever be attempted in the traditional sense of the word, given our very diverse polity, shrill media, and the very strong-minded Judiciary. 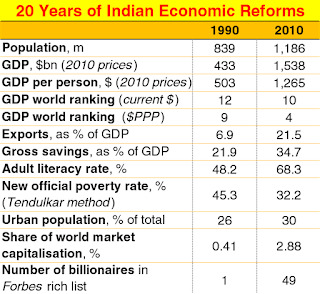 I wrote a detailed answer on what really happened in the 1991 reforms and beyond. May want to read it here. Brilliant compilation of facts and thoughts. Sir, could you please let us know, Who was the first billionaire of India. I googled, but couldn't find. Is it Hyderabad's Nizam? In 1776,U.S.A got independence and till 1950,it was one of the superpower(approx 175 years),and only after 70 years of independence,we are expecting to become superpower, it's not impossible but a difficult task and considering our enormous challenges it seems impossible!.It's worth pondering for us if we had not been facing the foreign exchange reserve crisis resulting in mortgaging the gold and pressure from IMF to open up,do we still have liberalized the markets. this brings me to a more tantalizing point-the concept of"blessing in disguise,mainly we have liberalized only to combat balance of payment crisis but we also get booming of I.T industry,surge in engineering colleges,increase in F.D.I&F.I.I,and the most needed reform i.e. change of world perspective towards India.Now we have changed yourselves from land of snake charmers to English speaking young professionals(who are much more competitive and taking away the job of traditional american workers,especially in services). Although its a meaningless discussion like if INA win there or if india ruled uk or usa over 300 cen or if India is the richest state like the ancient time or if Indian plate gain some rage and gulped pakistan, china with in a few month, but there is a point over your writing that we are human,work on abstraction and in those abstraction we have hope and this hope leads to a certain future. we are still using the same system of rails and same govt. system which British had left. I think during that time people were more safe. During that time the crime rate must had been very low as compare to today.Most of all GDP no. never tell the true story to people's life on the ground level. It is turning bad to worst. As we know , britishers doesn't left alot for us.Remaining things have been digested by corrupts. IT seems that we've got a governing body which know its job, but it is also considerable that it's a bit late for few things. population of india is a disaster thing that's increasing difficulties to the peak. it is important to consider this as a big problem and finding giving quick solutions for it, otherwise the employment and literary problem will become a big issue to be solved. History is what, which is happened we can not change the past. I would like to suggest some solution regarding the issue. how we become low middle class income to high class income group because if we don't India's claim over a permanent member in security council is just claim and never become reality. (1) for land reforms, we have to make at-least 50 industrial corridors near highway. Why? Ans No particular Village will come and almost all the land near by highway is commercial land. (4) Abolish income tax. Why? Ans Almost $50 billion of Indian money become black every year, and almost 65000 crore Rs would be earn as a income tax and if we check indirect tax on this money would be around 20-30% of $50 billion would me much larger + All black money would be white within 3 or 4 years. And we tax (transaction tax) on foreign transfer, we can earn more and check liabilities for that money. 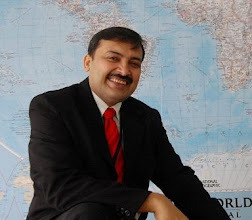 (6) Our target is to increase the flow of money in India, How By selecting 100 Tourist places in India, improve basic structure and then branding them. Sir Please tell me This is Good or Bad.